It is important to understand terms. Mortality is death: it is inevitable and the term “saving lives” is strictly incorrect; the term should be “prolonging lives”. The maximum human life-span is slightly in excess of 100 years; if free of disease or major injury, people would live to that age. In reality the average life expectancy in the UK during the late 20th century has been about 70 years for men and 75 years for women. During the past forty years the average life expectancy has risen rapidly by about eight years, and a much higher proportion of the population now live beyond their 100th birthday. Morbidity is the presence of disease, or the after-effects of disease or major injury. Morbidity is illness that if it does not cause death will cause disability. It will reduce our functioning within our society or our families. It will take much of the fun out of life, although many people have a remarkable ability to have a full life despite considerable health disadvantage. There is a difference between life expectancy and active life expectancy. 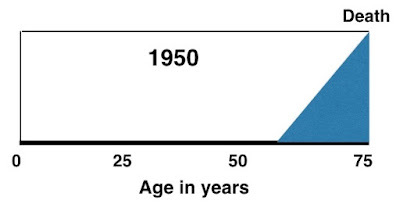 The compression of morbidity brings the active life expectancy closer to the life expectancy. I have read very many medical papers during the past fifty years, and I have saved and collected a few thousand of them, most as photocopies but during the past few years as pdfs. It is very important to obtain information from original research. It is also important not to forget it, or at least not to forget where to find it! One paper that impressed me at the time was “The Compression of Morbidity”, written by James Fries and colleagues of Stanford University, California. It was published in The Lancet in1989. It indicated a major change in the health profile of the population during the 20th century. In the first half of the 20th century people experienced several years of morbidity, that is functional deterioration, before death, usually at about 70 years of age. However during the second half of the 20th century things became different. People maintained good function, and death occurred after just a short period of ill-health and functional deterioration, which are recognised as being the inevitable part of “old age”. This compression of morbidity into a much shorter time at the end of life was obviously considered to be a good thing. Fries regarded this important change to be the result of good medicine, and especially of good public health. This was in response to McCormick and Skrabanek from Dublin, who felt that modern medicine, while being very important to individuals, was of little benefit to the population at large. The health of the population is determined by engineers and not by doctors. They give as an example seat-belt legislation; drink-driving legislation would be a similar example, and of course water engineering. McCormick and Skrabanek worked in the public health department in Dublin. Skrabanek sadly died from prostate cancer at a young age. They challenged much accepted but incorrect wisdom, and they wrote much good sense extremely clearly, in a good Dublin tradition. Some of their work is listed at the end of this post, and it is well worth reading. What is there about modern medicine that could have led to freedom from disability in the later years of life? There are several possibilities. Perhaps the most commonly-used aid to mobility has been the aluminium walking frame, as invented in 1949 by William Cribbes Robb, of Stretford, a suburb of Manchester, England. This and similar mobility aids can be of great benefit, but they are valuable only to those who have morbidity. They do not prevent morbidity; they just help the disabled retain a small form of mobility. Reversal of visual failure by cataract extraction and lens implantation clearly reduces morbidity. Blindness is a major cause of disability and its cure is extremely valuable. Cataracts are very common in the elderly and a large number of surgical procedures are carried out at present. 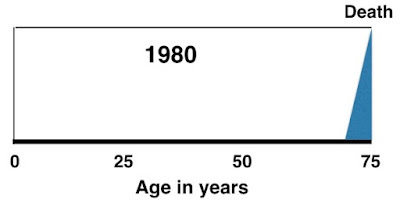 But this has not always been the case and it is only in the 21st century that we have seen widespread cataract surgery, but very little before the publication of Fries’ paper in 1989. This has not been responsible for a significant reduction in the morbidity of the population. Hip (and later knee) joint replacement surgery has been perhaps the most important medical innovation to reduce morbidity. 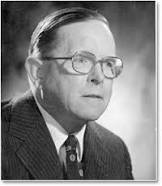 It was pioneered by a remarkable surgeon, Sir John Charnley (1911-1982), who was working in Manchester in the 1960s when I was a newly-qualified doctor. His surgical centre became Wrightington Hospital in Lancashire, England. 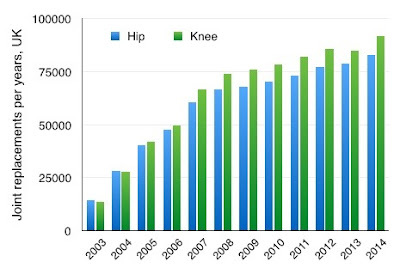 A large number of hip and knee replacement procedures have been performed in recent years in the UK, 14,424 hip replacements in 2003 increasing to 83,125 in 2014, and a similar number of knee replacements. Joint replacement surgery has undoubtedly reduced disability, sometimes in a very major way. However we can see that large-scale joint replacement is a very new development and would not have “compressed morbidity” at the time and on the scale described by Fries and colleagues in 1989. I find it difficult to understand how medical interventions could have reduced morbidity in the last years of life on the large scale identified by Fries and colleagues. But there is an intervention by Nature that clearly did. Reduction of morbidity and disability in later life can be prevented by sudden and premature death at an early age. War with a large number of casualties would do this, and this happened during the first half of the 20th century. 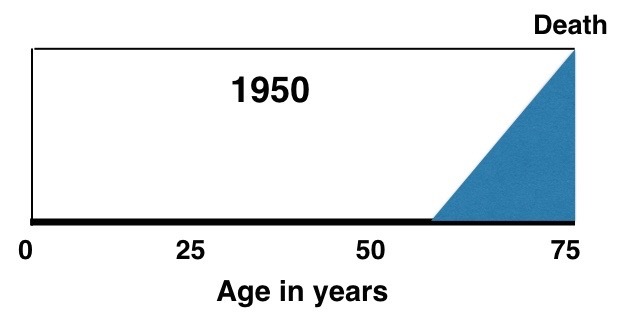 The prolonged morbidity of the population during this time, as identified by Fries and colleagues, would have been much greater without the two world wars. However the 20th century was characterised by one of the greatest epidemics – coronary heart disease (CHD), in the UK and also described in the USA. This undoubted epidemic started in the mid-1920s, reached its peak in about 1970, and is currently very close to its end. The epidemic of CHD caused about 10 million deaths in the UK alone. It was responsible for 25% of all deaths at the height of the epidemic. Deaths from CHD occur now almost exclusively in the very elderly. Now that the epidemic of CHD has almost come to an end, the compression of morbidity has also come to an end. 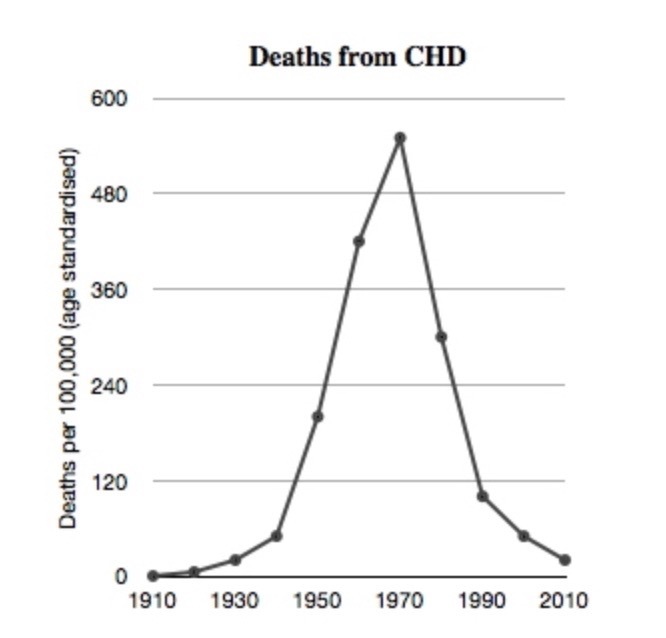 This has been happening since its peak, and since 1970 about 10 million people in the UK have not died from CHD, assuming they would have done had the 1970 incidence of deaths from CHD (550 per 100,000 per annum, age standardised) been maintained. They have thus lived longer than they would have done without CHD, and many of them very much longer. So in the pre-1980 years, men would work until the age of 65 years, live a further five or ten years, and then die, usually suddenly. Living to the age or 90–100 is different. People find that it is not possible to work after the age or 70 or 75 years, as physical deterioration then takes place. We therefore find perhaps 20 years of morbidity, from age 80 to age 100. We are now experiencing the “Decompression of Morbidity”. On average we are now returning to an increasing level of chronic illness and disability during several years before death after the age of 90 or 100. This is illustrated in Figure. This is already putting tremendous strains on the economy, and the problem is going to be much bigger. Pension funds must support not just 10 years of retirement but perhaps 30 years. This puts a burden on the working population who pay into the pension funds. Many of the retired will be unable to survive an independent life, but will require support at home or residential care. For both there is a cost, but more importantly there is a need for labour. Where will it come from? Importing the labour from overseas creates a “Ponzi Scheme” – it just makes the problem far worse in the future when the immigrant care-workers themselves become old. The crisis has already happened in the UK, and no doubt in other countries. The demand for emergency admission to hospital has increased to beyond the number that can be accommodated. The elderly and frail have a longer recovery time for a given illness, the reason being a lower level of physiological reserve. Discharge from hospital might be delayed because of social factors at home. 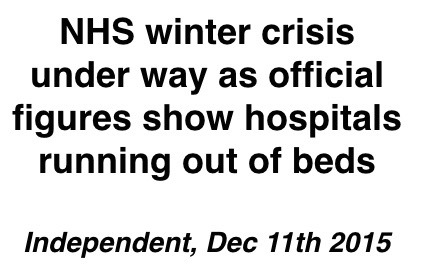 Length of stay is thus longer, with a requirement for more hospital beds. The hospital expenses exceed income and debt results. But again and more importantly, if there is a need for more hospital beds, from where do we obtain a greater number of doctors and nurses? Early warning of the huge increase in the number of the very elderly has effectively been ignored during the past 40 years, but to plan for this future appears to be beyond human ability. What are the ethical considerations if we import doctors and nurses from other countries whose need for health professionals are greater than our own? The present problem is very serious, and the future can only be regarded as a nightmare. It is unlikely to be possible to provide ideal social and health care when after 2030 the number of centenarians exceeds 100,000, and the number of those between 90 and 100 about three times that. This group of the population will have a level of disability and cannot be expected to be part of the workforce, a significant proportion of which will need to care for them. It is inevitable that people who are viewed as elderly but without serious disability will need to join the caring workforce, perhaps as volunteers rather than as paid staff. Population control requires war, famine and pestilence. We have none of these at present. It is too late for simply a reduction of the number of births, and this will be necessary now only for the benefit of the 22nd century. Further pestilence is very likely and new epidemics will occur. But now we are able to spot epidemics very early, as international epidemiological systems are in place, mainly the World Health Organisation. Modern medicine also has a great ability to intervene very rapidly. Large population increases will inevitably come to an end but in rather unpleasant ways. It is difficult to know which to choose. Who wants massive casualties from another world war? Who wants famine on a large scale? Who wants pestilence? But coronary heart disease (CHD) was an epidemic, almost certainly the result of a pestilence. 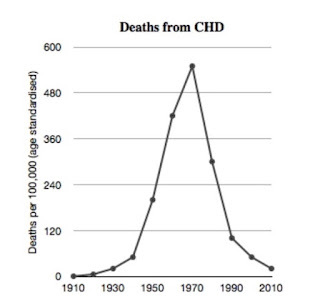 CHD caused very large numbers of deaths without significant suffering, mainly sudden and unpredicted death. The deaths occurred in middle age, and usually a very short time after productive work had come to an end. It certainly constrained the number of very elderly and compressed very significantly the morbidity of the population. In the future we might look back on CHD and view it as an advantage to the population sent by nature. Fries JF. 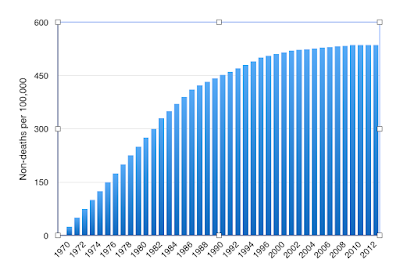 Aging, natural death, and the compression of morbidity. N Engl J Med 1980; 303: 130-136. Fries JF, Green LW, Levine S. Health promotion and the compression of morbidity. Lancet 1989; 333: 481- 483. McCormick J, Skrabanek P. Coronary heart disease is not preventable by population interventions. 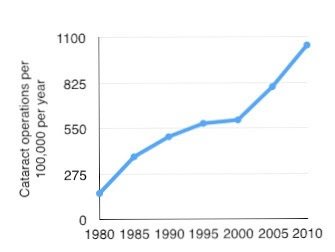 Lancet 1988; 332: 839-841. The present problem is very serious, and the future can only be regarded as a nightmare. That seems like an awfully strong statement. Japan has is ahead of the curve, with an older population. As far as I can see, they are not on the verge of collapse. Of course, whether it proves a nightmare eventually depends on our ability to out-innovate the problems. Granted, there are reasons to be pessimistic when we look at current breed of pharmaceutical companies and care-giver agencies, but we do not live in a stationary world. Things change, most often for the better. I think that more and more people realize that if we cure cancer and heart diseases, we don't necessarily end up better off in the end. 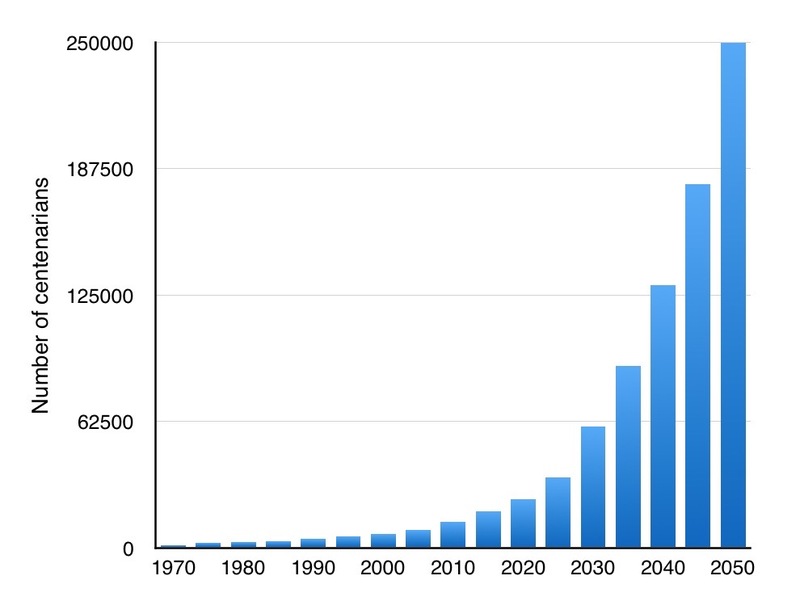 And that's why there is such a strong push toward regenerative medicine (much of it coming from Asia). Whether these will end up delivering on their promises is yet unknown, but to conclude that the future must be a nightmare is not to even give us a chance to solve the upcoming problems. You are of course correct in that my statement is strong and pessimistic. 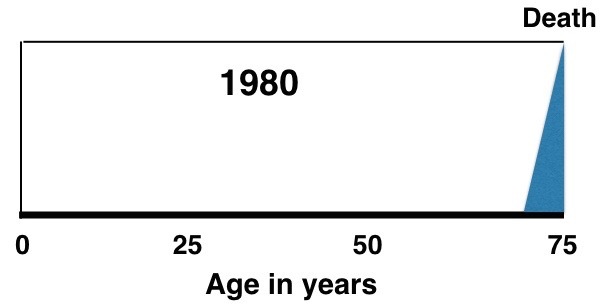 However the age profile is changing rapidly and I can see no even theoretical prospect of reducing the morbidity of large non-working elderly population. You mention Japan with an elderly population but I do not know how things work out there. It could be that robotics will take a larger role in productive industry and this will allow more of the workforce to enter the "caring professions". I suppose that in particular for people younger than me a sense of optimism is essential, that with science something will turn up. I hope so. But we hear and read every day in the UK press that the demography is putting increasing and serious strains on the health and social care services. Let's hope for something, but I am not sure about "regenerative medicine".